This is the final instalment of Sam Pryde’s observations and insight into the Middle East, gained whilst on his recent tour of the region. Enjoy. 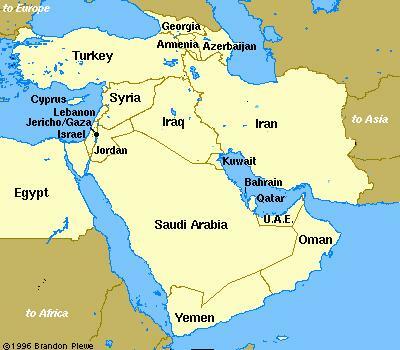 This fascinating country was violated and destroyed by the conquering armies of Saddam Hussein in 1991. Our failure to achieve a complete victory over Saddam Hussein (i.e. remove him), left the Kuwaitis in perpetual fear that they will be attacked again, therefore they have not undergone any serious attempts at reconstruction. After the removal of Saddam in 2003 and a recent calming of the internal situation in Iraq, Kuwait as finally gained the confidence to rebuild. This has been much helped by the transition to democracy, with parliamentary elections taking place later this year. No longer living with the fear of Saddam’s aggression Kuwaitis are free to participate in a political system, which benefits everyone. The only drawback to their political system however, is that they operate that senseless system of proportional representation which has led to a high turnover rate of governments, and has rendered decisions on construction impossible without first going through a long and painful consultative process. Kuwaiti traders have also benefited greatly from the improved situation in southern Iraq, where the people are rebuilding and accumulating. British companies need to start taking advantage of their privileged position within the Iraqi market before it becomes saturated. I only visited a relatively small number of the countries, in a region, which is perhaps geo-strategically the most significant to us. It is therefore directly within our interest to prevent one single country from dominating that region. The removal of Saddam Hussein liquidated one threat to regional stability, Iran now poses the main threat, and if they go nuclear the entire region could be destabilised. The Iranian regime is guided by the evil ideology of Islamic fundamentalism, an ideology whose followers have killed more Muslims than they have westerners. The most obvious and direct counter-ideology to this is Liberal democracy. Iran’s neighbour Iraq (despite Iranian efforts to destabilise it) is fast becoming a beacon of hope for democrats in the Middle East, and must surely provide encouragement for the many moderates who live inside Iran. This can only provide demonstration that a society where all interests are represented generally produces the most logical outcomes. The recent elections in Iraq are yet another indication that the country is moving on from its violent, sectarian driven past and moving towards becoming a beacon of Arab democracy. Up to 15 million Iraqis were eligible to cast votes in the elections for regional government which are being held across the country, with more than 14,000 candidates competing for just 440 seats! This was the first nationwide vote in four years and is widely seen as a test of stability before a general election due later this year. The vote was almost entirely peaceful with just a few reports of violence, despite Al Qaeda threats. After a slow start to voting, the pace picked up and there was a “holiday atmosphere” among voters walking to the polling stations. Lubna Naji, a Baghdad medical student, told the BBC that “people here are so excited by the feeling that their vote can make a difference.” The turnout was reported to be high even in Sunni areas and due to the strong turnout voting had to be extended by one hour. 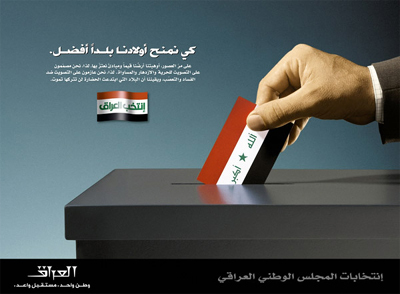 Sunni turnout was expecting to be above 60% compared to less than 2% in 2005 election when they boycotted the election. This resulted in the Shia and Kurdish parties taking control of parliament and the resentment that was to spill over into sectarian violence. The fact that so many Sunnis took part in the vote shows how far Iraq has come since “the surge” began, Iraqis can see a future for themselves and their country now. Barack Obama hailed the poll as an “important step forward” for Iraqi self-determination. “I congratulate the people of Iraq on holding significant provincial elections today,” he said in a statement. Well that’s all well and good Mr President but if it were up to you these people would not be expressing their democratic rights to shape the future of their country now would they. 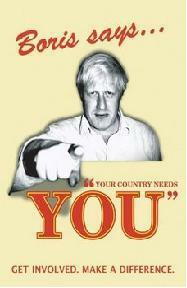 No if it was up to you they would be still ruled by a brutal dictator, who gassed and tortured his own people. Yet another reason why the war was the right thing to do. Try telling the jubilant people of Iraq that the war was wrong, yes there were mistakes and tragedies, but out of it all came freedom and liberty. This will be Bush’s legacy a fitting tribute to a man who made difficult decisions to help free the world of tyranny.